Winnipeg – “The beating heart of Canada”, declares Travel Manitoba’s slogan. I’d already discovered a wealth of things to do in Winnipeg, but as I immersed myself more in its culture and people I was soon to discover just how true this statement was, and not only in geographical terms. This was my first visit to Canada, and the next few days were set to provide me with an eye-opening encounter with the eclectic mix of cultures which call Manitoba home. I’d already discovered many of the great places to go in Winnipeg – from the mind-bending cryptography of the Manitoba Legislative Building to the Forks, Exchange District and Canadian Museum for Human Rights. 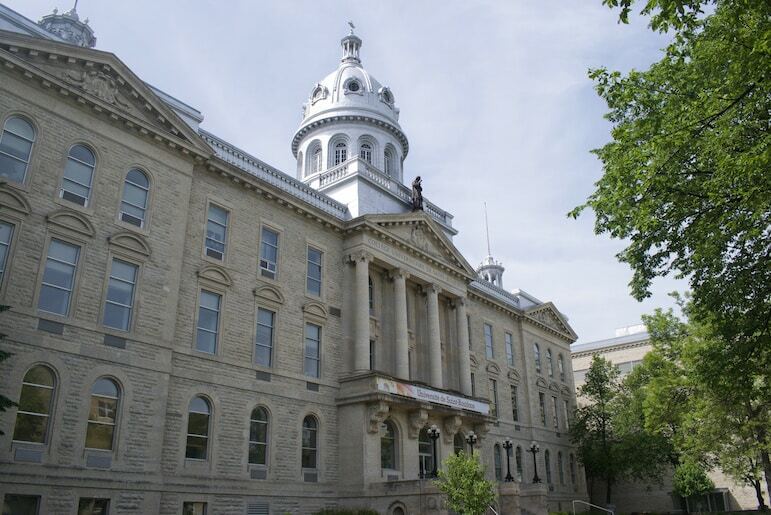 But exploring Winnipeg and the Interlakes region, I was intrigued by its melting pot of cultures, and also the unexpected sense of harmony, appreciation and respect for other cultures and beliefs that its people have nurtured. It was also a personal journey for me, as I share a little heritage with some of the people of Winnipeg. This is my history book of experiences and encounters with its First Nations, Ukrainian, Inuit, Icelandic and Francophone communities, including some of the key figures that helped to shape these groups. As the first settlers, the First Nations represent the foundations of Canada. 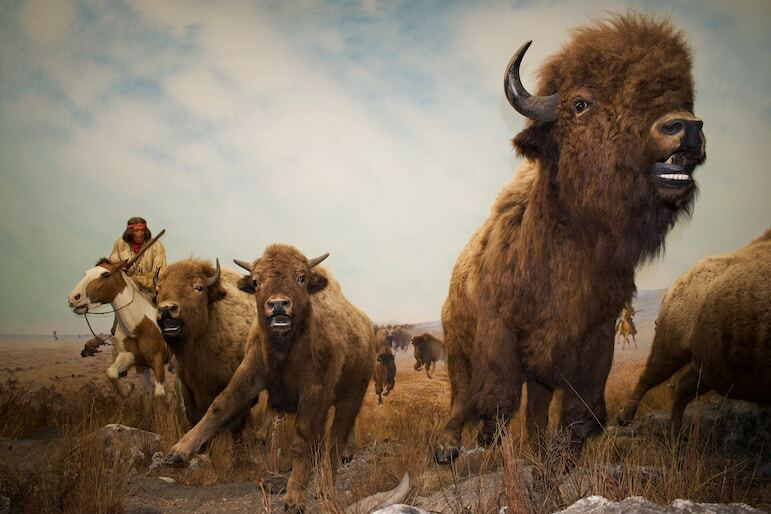 To step inside the life and times of their communities, pay a visit to the Manitoba Museum. The vast collection of vivid displays and artefacts paint a picture of their relationship with nature. I was greeted by a display which brought to life a Métis (Canadians of mixed European and First Nations heritage) buffalo hunt – a major event, that was held twice a year by the First Nations people. Over 1,500 people would participate in the summer hunt, sowing their crops in spring before leaving their camps in mid-June for the hunt. 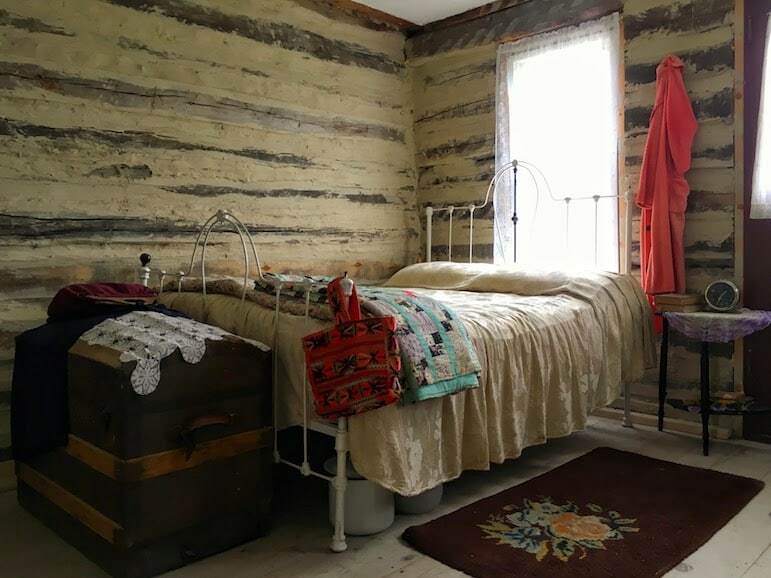 In August they would return with a bounty of goods including pemmican (a nutritious fat and protein), fur, dried meat and buffalo tongues to live off or trade with the Hudson’s Bay Company at Fort Garry. I was captivated by the museum’s dedication to raising awareness of Manitoba’s heritage and telling the diverse stories of the province. As part of the Canada 150 celebrations, the museum is hosting the Legacies of Confederation Exhibit until January 7, 2018. It offers a new look at Manitoba’s history, chronicling the momentous impact the confederation had on residents of the Red River colony when their homeland was acquired by Canada. It also brings to life their cultural beliefs and the relationship between humans, nature, spirits and their role in the creation of the world. The museum is one of Winnipeg’s top attractions and the exhibition is something I was pleased to catch. The late Dr Daphne Odjig’s ‘Creation of the World’ captured my attention and curiosity. Not only for its striking colours but for the interesting depiction of the relationship between Mother Nature and the elements. But I found Odjig herself to be equally inspirational. Her long list of achievements, awards and recognitions read like the credits at the end of the film. Despite learning of the difficult times experienced by First Nations groups in Canada, it was uplifting to know that anything is possible – even in adversity. Odjig was a Potawatomi artist and as of 2009, was the only First Nations artist to exhibit at the National Gallery of Canada. She was the recipient of the Governor’s General Laureate – the highest honour in visual arts and was recognised for her efforts in championing cultural diversity. 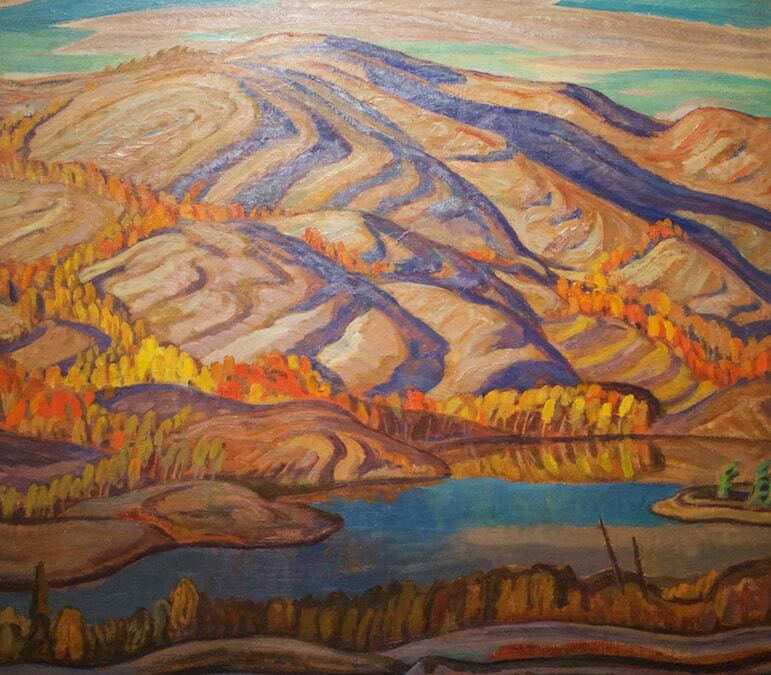 She went on to found the Professional Native Indian Artists Incorporated or the Indian Group of Seven – a cooperation of artists whose works feature prominently at the Winnipeg Art Gallery, should you want to dive deeper into native Indian art. As I lost myself in all the displays, I couldn’t help but think, if it wasn’t for people like Daphne Odjig, my experiences of the many great Winnipeg attractions wouldn’t have been as multi-dimensional. I was also struck by the irony that the visual arts can have a considerably stronger, more expressive voice than the written or spoken word. I sauntered across the bridge into Saint Boniface, and instantly knew I was in the French district of Winnipeg. 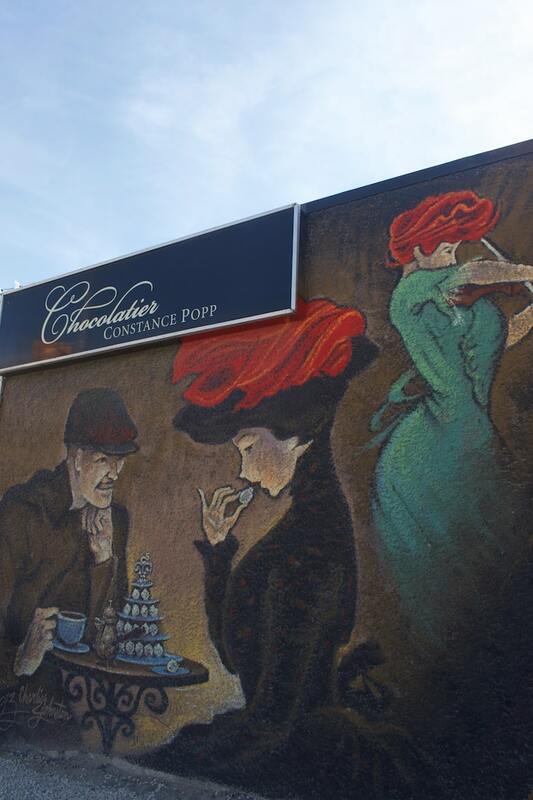 With signs proudly emblazoned in French and street art murals depicting chocolate shops, it was a place I could easily have whiled away an afternoon in a café just watching the world go by. But I was here for another purpose altogether. 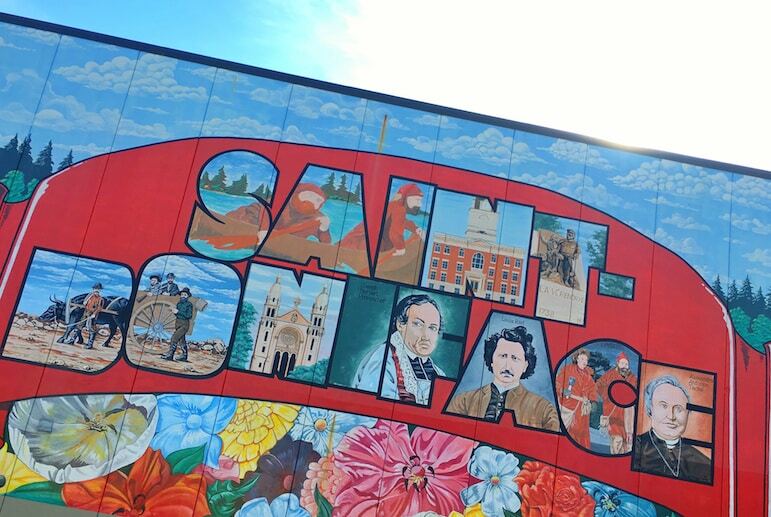 On a walking tour with Tourisme Riel – one of many great things to do in Winnipeg, I discovered its wondrous architecture and the incredible stories that have shaped Saint Boniface. 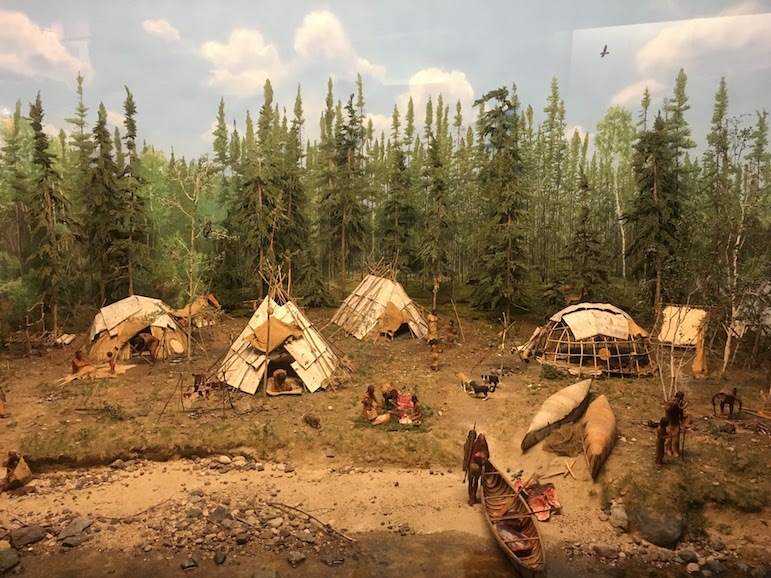 The area was originally occupied by the Ojibwe indigenous people, until the early 1800s when fur traders and European settlers started arriving at the request of Lord Selkirk, who wished to protect his Red River Colony. 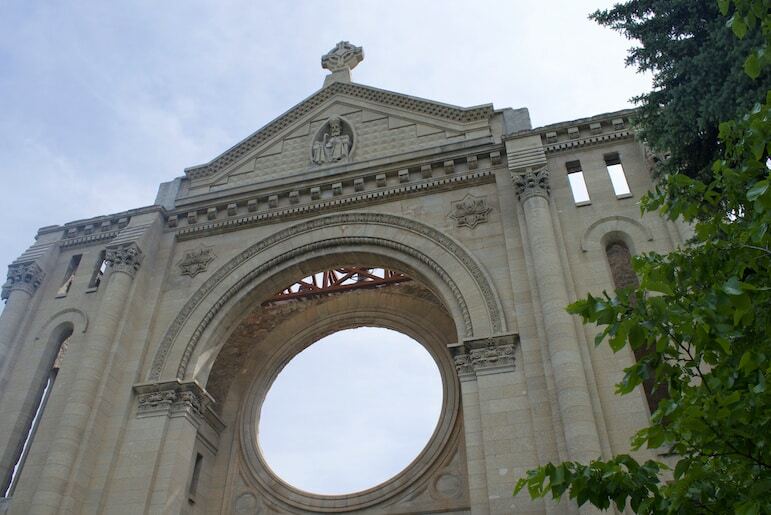 It was also around this point that Saint Boniface was to begin its chapter of political, religious and cultural status when it established a Roman Catholic mission in 1818. I love visiting churches and religious sites on my travels. I find it’s those short periods of hush and solitude, away from the hustle and bustle of a city, that allow you to be in the moment. These experiences always remind me how fortunate I am to be able to see the world and revel in its stories, and Saint Boniface Cathedral was no different. For me it’s one of the most peaceful places to visit in Winnipeg. The original cathedral was built between 1905-08, but sadly a fire destroyed most of the majestic building in 1968. Even today, myths still surround what caused the fire. As the nearest fire station was over the bridge in Winnipeg, locals were helpless and could do nothing but watch the building be overtaken by ferocious flames. Louis Riel, the leader of a group of Métis people – Canadians of mixed European and First Nations heritage, is buried in the cathedral’s graveyard. Wherever you visit in Winnipeg, you will hear stories of Riel – the founder of Manitoba. He rebelled against the Canadian government in the 1870s and 1880s, fighting for the rights of the Red River settlers who were set to lose their territorial rights. Riel was their spokesperson and managed to halt the plans, seizing Fort Garry and establishing a provincial government to negotiate new, acceptable terms for the union with Canada. After Riel ordered the controversial execution of Thomas Scott, he fled to the US to escape prosecution. In 1884 he was called back to Manitoba by the Métis leaders in Saskatchewan, to help them articulate their grievances to the Canadian government. However, the result was the military rebellion of 1885, which ended in Riel’s arrest for high treason, despite many public protests. His execution has had a lasting impact on Canada. To this day, Riel is seen by many French Canadians as a heroic victim who fought to protect the Francophone community. But despite his iconic status as a symbol of multiculturalism, he is seen by others as a dangerous rebel. Nonetheless, he has earned his place in the history books. The Louis Riel monument stands next to the University of Saint Boniface as a reminder of the hardships Riel faced in fighting for the Métis people. As I mentioned, visiting Winnipeg was also a personal journey for me, when I discovered that the city was home to a thriving Ukrainian community – a significant part of my family heritage. But first, a step back into the history of the Ukrainians’ original journey into Canada. 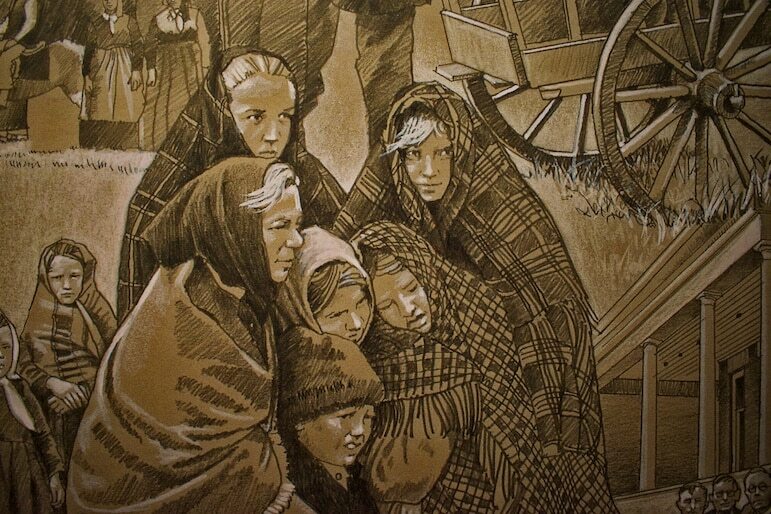 Ukrainians first settled in Manitoba from the late 1800s driven there by severe poverty and famine back home. Canada was a good option due to the similar climate in their homeland. The Icelandics who had settled in Manitoba years before were initially nervous. They feared the Eastern Europeans would disrupt the harmonious life they had established there, even nicknaming the newcomers wolves in sheep’s clothing, owning to their traditional dress of fur hats and coats. The arrival of the railway in 1910 in Arborg, an hour and a half north of Winnipeg, was a significant event. It opened up trade and transportation, and the unsettled lands to the north and south of the town were promoted as homesteads. Soon after, hundreds of Polish and Ukrainian immigrants arrived and settled in the surrounding areas. They proved to be hardworking farmers with extensive expertise, forming a solid economic foundation for the area, and helping to shape the culture of Arborg as it is known today. 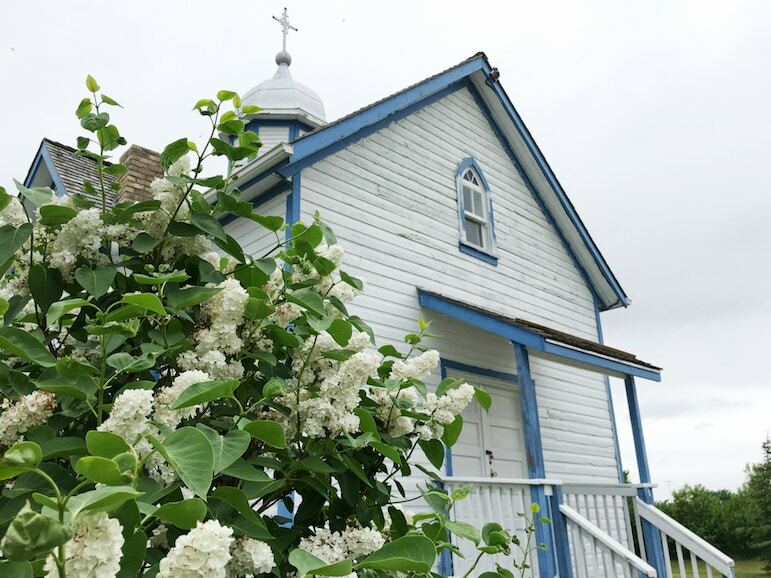 I was enjoyed visiting Arborg Heritage Village to explore some of the homesteads, mills and churches which have been preserved to give visitors a glimpse of life at the time. 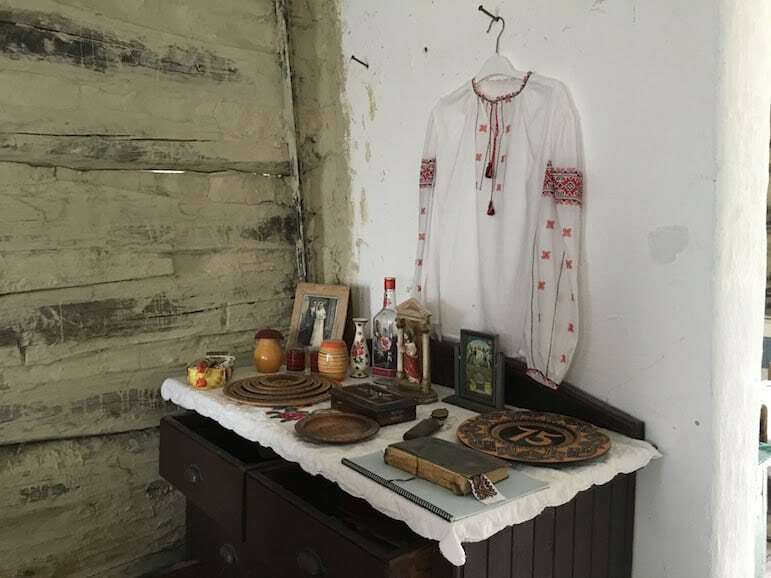 As I observed all the curious items and handicrafts of the homesteads which have been preserved to encapsulate the decor of Ukrainian homes, it was a nostalgic experience. The tablecloths, china and handicrafts transported me back to my childhood and similar possessions I recall that decorated my grandfather Nykola’s house. The restored Ukrainian Catholic church featured typically ornate religious treasures too. As I set foot inside each of the buildings, I felt extremely grateful that the Heritage Village exists today to educate us on our ancestors. 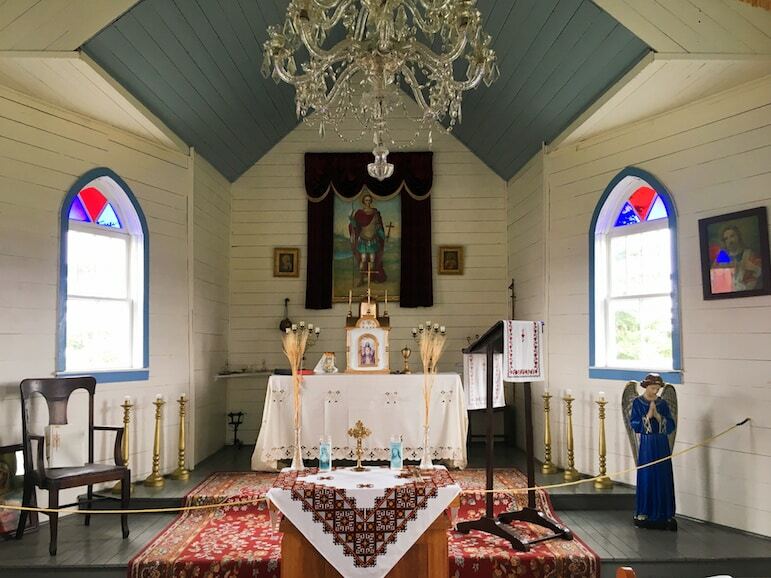 The buildings and items have been tenderly restored for people to experience not just Ukrainian, but Icelandic and First Nations cultures too. Fast forward to the Second World War and thousands more Ukrainians were to face the same journey to Canada that other Europeans had made years earlier. 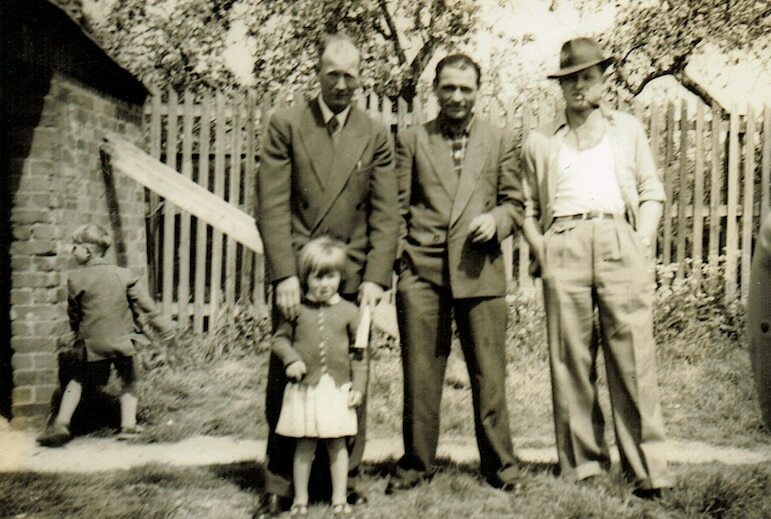 Like many of his countrymen, my grandfather Nykola was faced with the difficult decision to leave Ukraine to escape the devastation of Russian invasion, and avoid being conscripted into the Russian Army. He headed for Germany, but after some time working there, was forced at gunpoint to join the Ukrainian division of the German army. Just like my grandfather, on the right in the picture below, many Ukrainians were promised a self-governing Ukraine, but this didn’t happen until August 24, 1991. At the end of the war, he was sent to the UK via Italy as a prisoner of war. At the time, refugees and POWs were destined for new lives in the UK, Canada, Australia or Argentina. Nykola arrived in the port of Glasgow and spent many years in UK POW camps. But were it not for his tenacity and determination for a life of freedom, I would not be here today. Discovering a part of my roots in Canada was enlightening and emotional, allowing me to unravel similar stories and pieces of heritage. 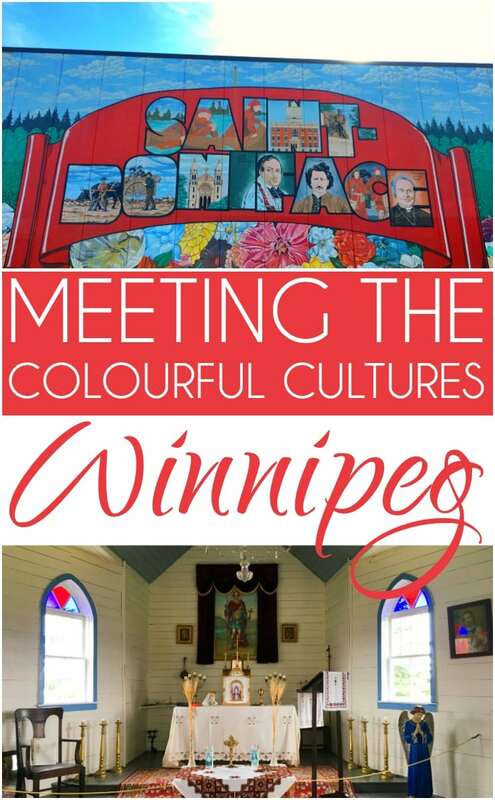 It’s important to celebrate and appreciate the diversity of cultures in this world in which we live, and the historical attractions of Winnipeg and beyond have unique ways to teach you this, and more about yourself. I relished in the opportunity to get out on the road and explore the Interlakes region, with whistle-stop tours of Gimli and Hecla. Though a word of warning, as you’ll be touring lakeside, be sure to wear mosquito repellant! 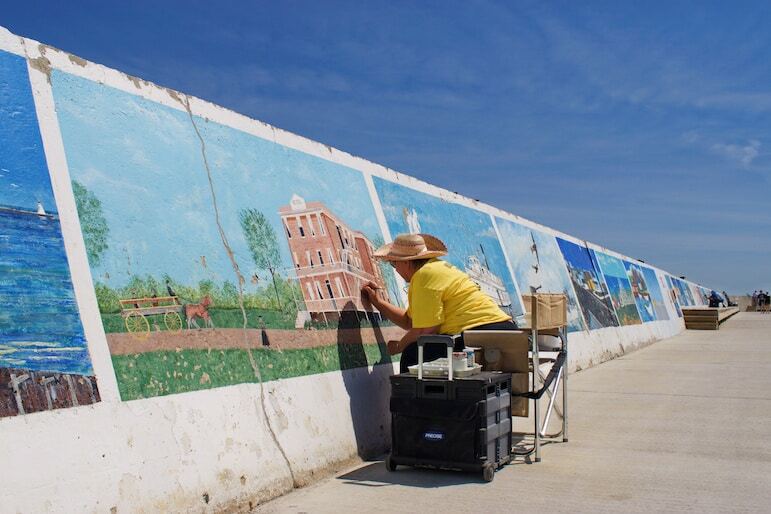 Gimli was a refreshing contrast from the hectic pace of Winnipeg. The sun shined brightly making the breeze from Lake Winnipeg most welcome, I felt at ease as I wandered around the harbour and long stretch of wall holding back the lake, and I soaked up the hypnotic views of the yachts and boats gently bobbing on the water. Similar to my other cultural journeys in the area, I was treated to tales of what life was like for the Icelanders who settled in Manitoba, equally afraid and unsure of what kind of future lay ahead. The New Iceland Heritage Museum near the waterfront was the perfect place to begin my Iceland chapter of Manitoba’s cultural history. An educational video helps to orientate you for the experience, allowing you to step into the shoes of their intrepid journey to Canada. 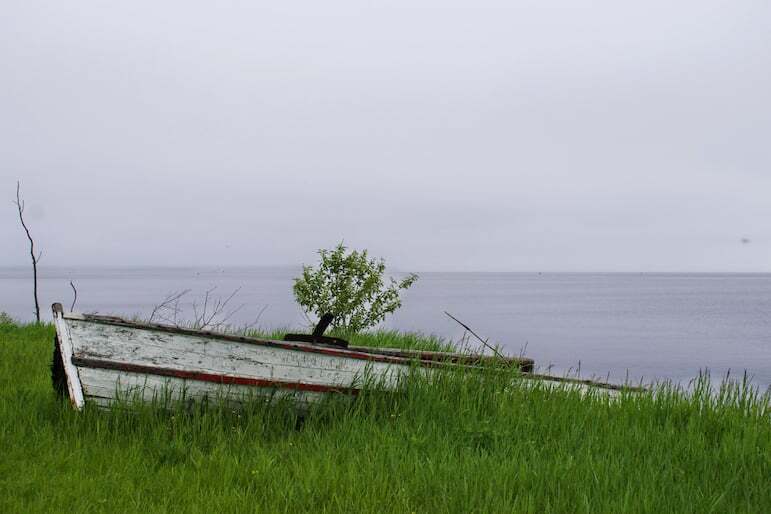 It’s hard to imagine being faced with harsh winters and a crippled economy, leaving behind the life you knew and braving rough seas to establish a new life in Manitoba, and it being your only option for survival. Sigtryggur Jonasson was the first Icelander to arrive in Canada in 1872, and was later joined by hundreds of his fellow countrymen. With suitable land limited, Jonasson was elected alongside two others to find a new colony in the west, and in 1875 they set their sights on Manitoba. Equipped with a York boat, they travelled along the west shore of the lake, where the abundant fish stock and ample forest thickets made the region an attractive prospect for their traditional trades of fishing and carpentry. The government granted the migrants a stretch of land on the west of Lake Winnipeg. And it wasn’t long before houses, churches and schools were constructed, heralding the start of a new life in what became known to them as New Iceland. Icelandic fisherman pioneered commercial fishing on Lake Winnipeg, but they still had to find ways to adapt to their new way of life, including learning how to fish through thick winter ice. A year later with the arrival of more immigrants from Iceland, the community set to work on their dreams of creating a lively and prosperous community. Literacy was held in high regard with the Icelanders, and in a traditional home, you would likely find a shelf full of books. 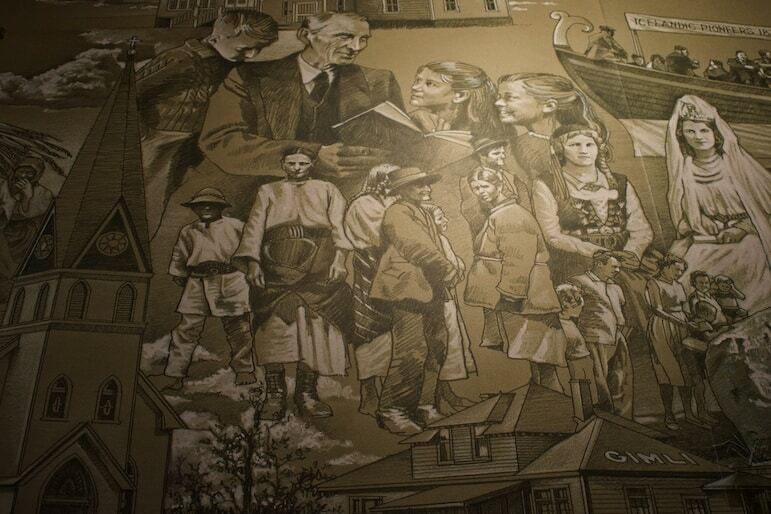 With a strong desire to preserve their traditions, the first printed Icelandic newspaper was launched in 1877. Two decades later the New Iceland reserve was opened up to homesteaders, with Ukrainian pioneers the first to arrive, then Polish and Hungarian settlers. Schools, libraries, churches and community centres began to spring up throughout the Interlakes and by 1917, the area had emerged as a region with a rich character of different traditions and cultures. It’s almost as if the Interlakes were a blueprint for the culturally diverse communities we live in today, and it serves to show what can be achieved when various cultures work together with the same common goal – simply, to live a good life. I’ve always found the life of Inuits, known as “The People”, to be intriguing. For instance how they discovered innovative ways to not just survive, but thrive in the harsh environments of the Arctic tundra. And I was in for an awakening at one of the most unusual places to visit in Winnipeg, the Winnipeg Art Gallery. 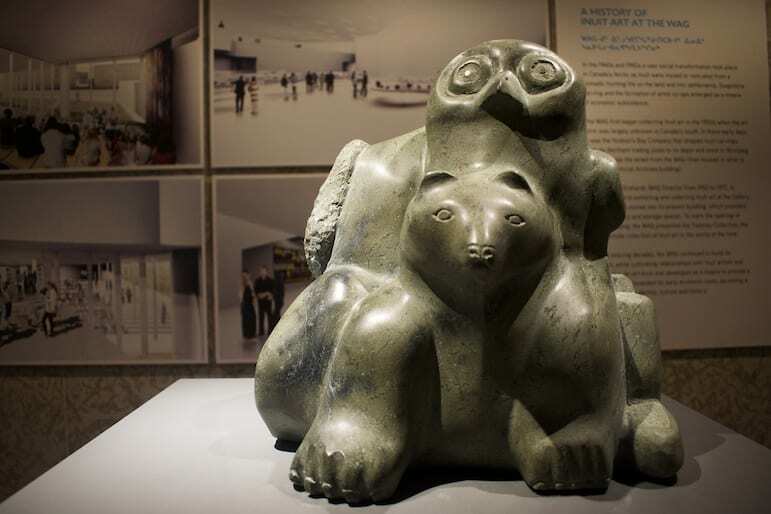 Home to the world’s largest collection of contemporary Inuit art, it’s one of the most cultural things to do in Winnipeg, and was where I was to discover the Inuit’s colourful stories through quirky art and sculpture. 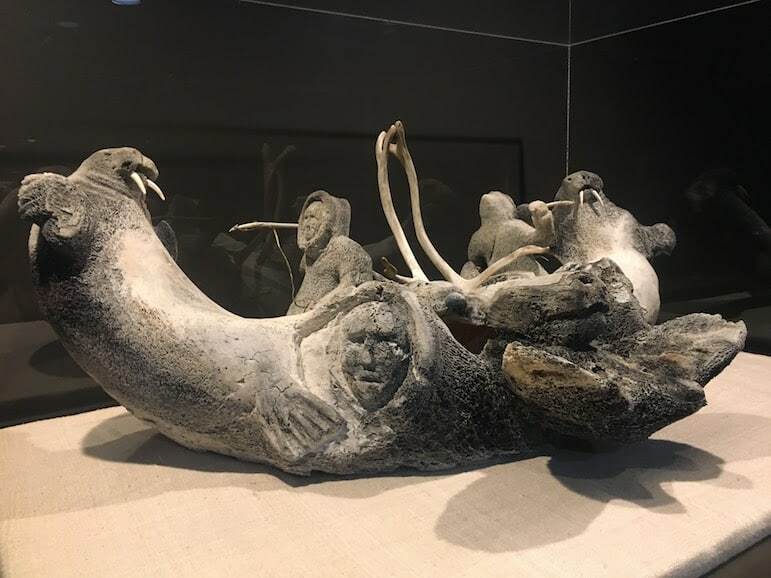 Stone is the most common material used in Inuit art, but the likes of wood, ivory, antler and whalebone were used as alternatives when stone reserves were depleted. 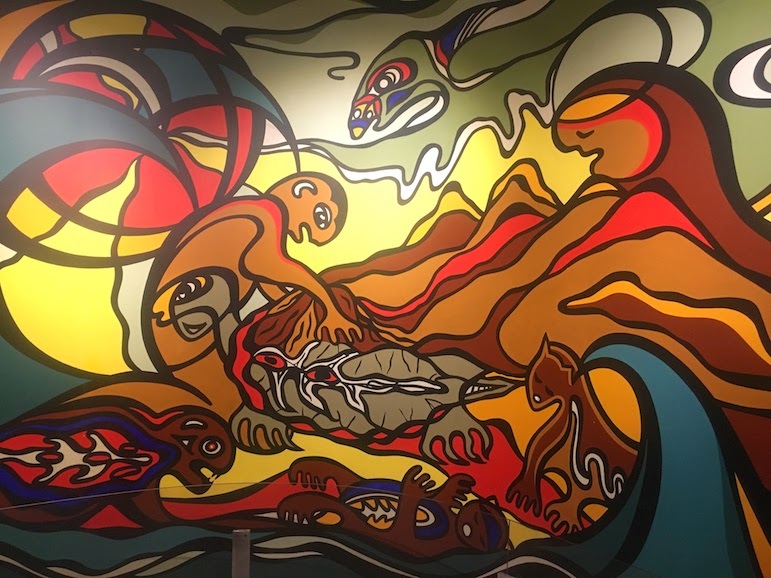 Most of the art here relates to traditional legends and beliefs in Inuit culture, including shamen being transformed into the spirits of their animal helpers including walrus, caribou and bird themes which recur throughout this Winnipeg attraction. 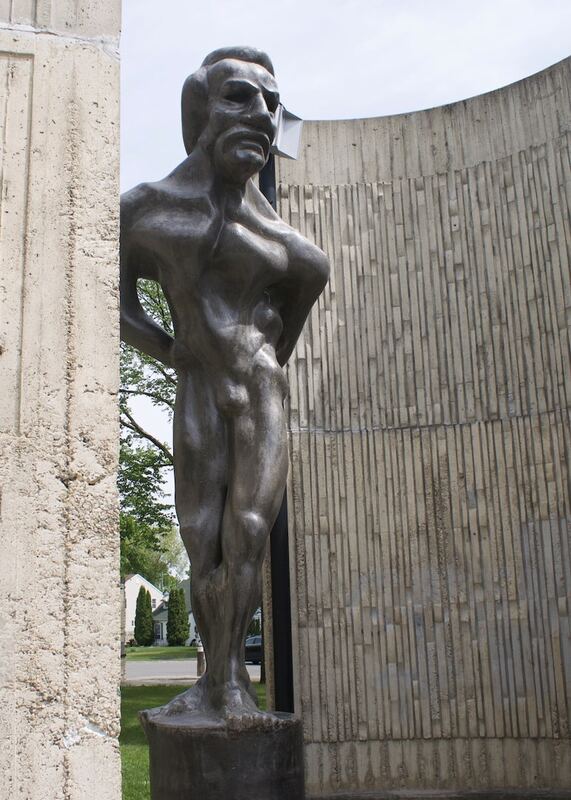 The gallery started its Inuit collection in the 1950s when it was considered a new art form. I found the whole experience of discovering the epic stories, myths and legends behind their creations quite extraordinary. 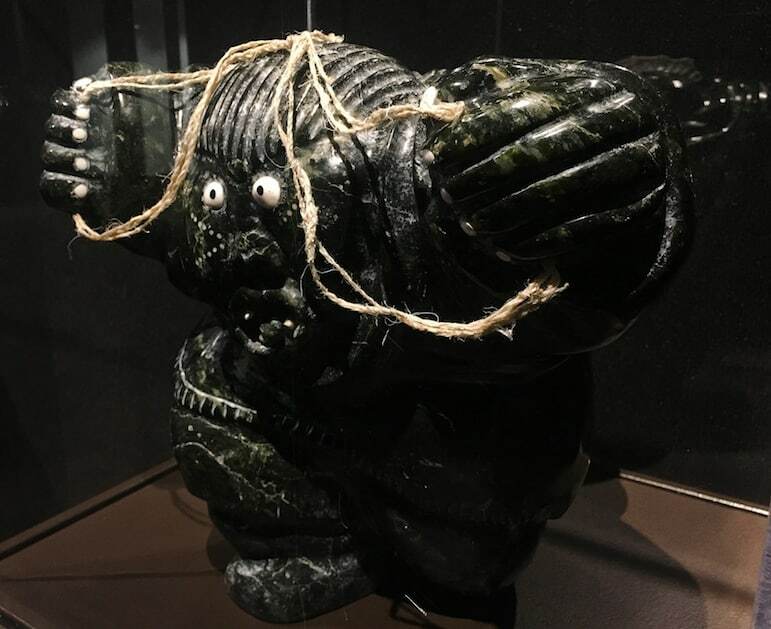 While the gallery is home to a variety of art forms, the bizarre Inuit art is particularly striking. It draws you in, and soon you’re trying to decipher what the piece is trying to express, such as this work by Abraham Anghik Ruben. ‘Things we share’ depicts a man and woman on opposite sides of the sculpture, surrounded by bears, seals, fish, and birds in concentric circles. These are the typical animals which the Inuit would hunt, while sharing is at the heart of Inuit culture and an integral part of survival in the Arctic. The Hudson Bay Company was the main collector of Inuit carvings at its northern trading posts in the 1950s. They were pieces originally created as souvenirs for visitors to the north including fur traders, explorers, whalers and missionaries. This would lead to the commercialisation of these unusual Canadian handicrafts. 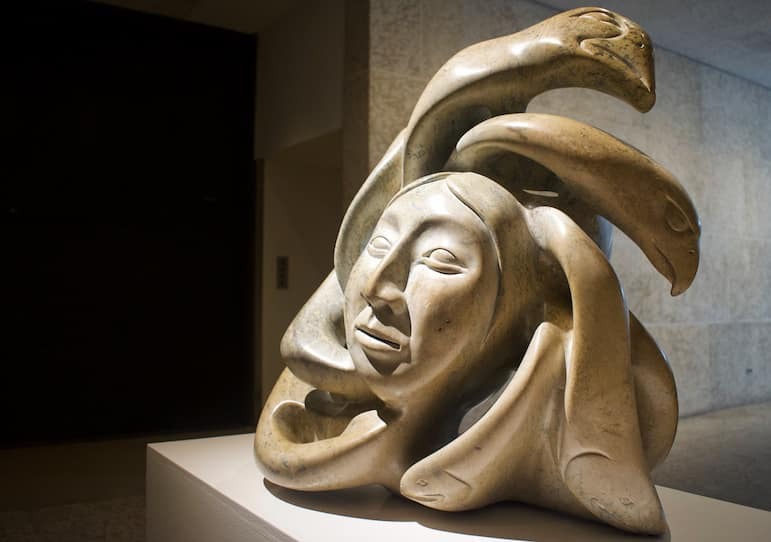 And in 1953, the Winnipeg Art Gallery displayed these sculptures for the first time, recognising that this art form was an important piece in Canada’s cultural mosaic. The initial works were designed to give temporary employment to the thousands of families who were relocated and scattered across the Arctic at the order of federal government from the early 1950s to mid-1960s. Children forced into federal and residential schools, would have to wear western clothing and were forbidden from speaking Inuktitut, their native language. In almost every possible way they were trapped and struggled to adapt to a culture alien to their semi-nomadic existence. The gallery is in the process of opening the Inuit Art Centre, a visual glass vault with the objective of telling the turbulent story of the Inuits, giving the isolated people a voice on how they lived, struggled and survived. This is just a small part of the many cultural things to do in Winnipeg, and a tiny but indulgent slice of Manitoba’s past. If I had to describe the province and its capital, it would be a place akin to a binge-worthy Netflix box set – a historic and cultural drama complete with enough twists and turns to keep you entertained for hours. And I’ve not even finished season one! A great read Lorriane. Really enjoyed that! So glad you enjoyed the read, I didn’t quite realise quite how comprehensive Manitoba’s history was until I put fingers to keyboard, definitely one of those unexpected destinations. Great article Going to print it out and read it properly again. Thanks Stephen, hope you enjoyed the read – it’s certainly a historical adventure and one quite familiar to us with our Ukrainian heritage.